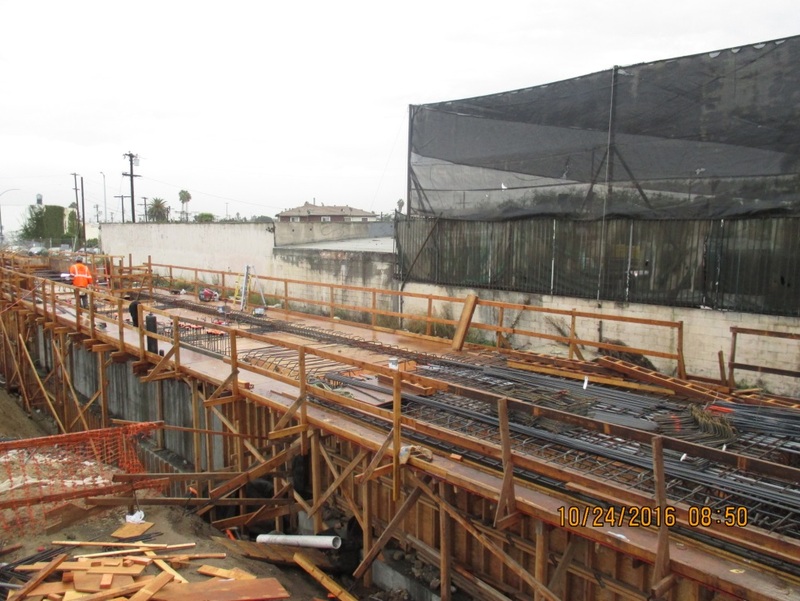 The photos are going from north to south along the 8.5-mile route for the Crenshaw/LAX Line. 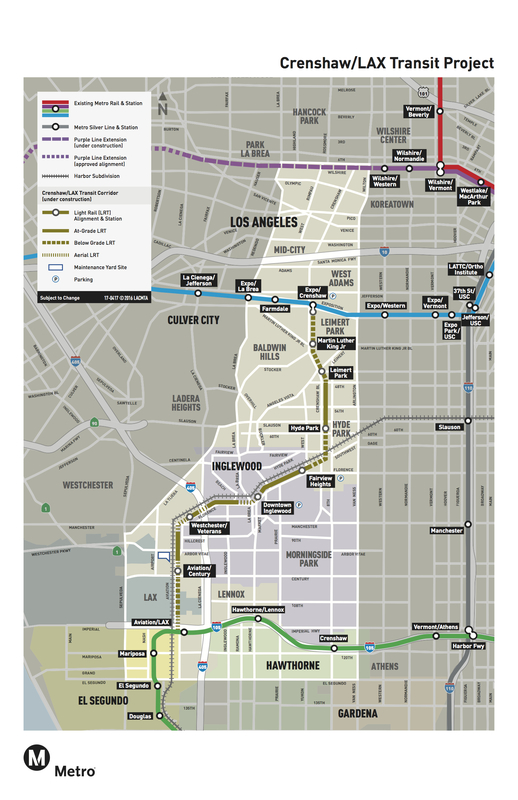 I posted a map of the light rail line at the very bottom of the post. 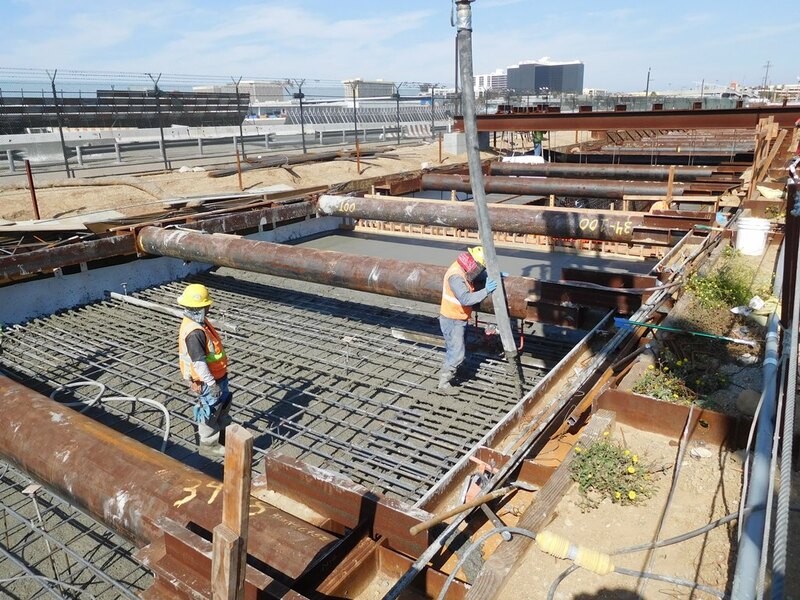 The project is forecast to open in fall 2019 and is funded primarily by Measure R, the half-cent sales tax approved by Los Angeles County voters in 2008. 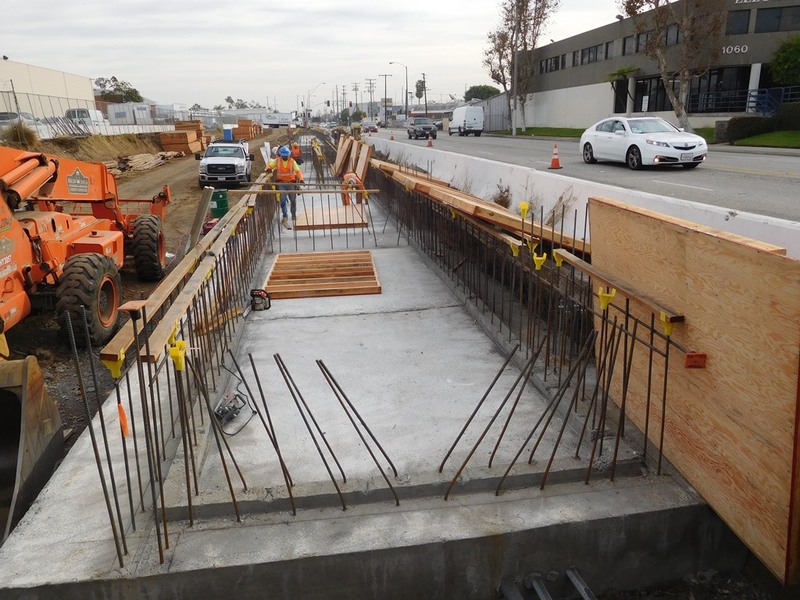 Measure M — which has a substantial lead as vote counting continues — would help fund and accelerate an additional station at Aviation/96th St, which will serve as the transfer point to the future LAX people mover that will serve the airport terminals. All the pics plus a few others are in this Flickr album. Feel free to use and share! 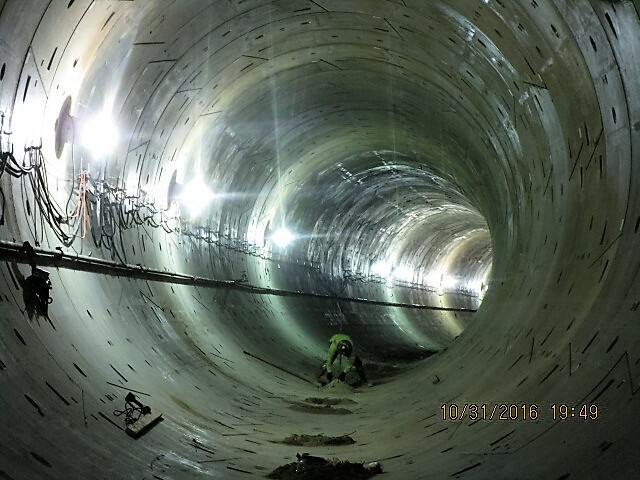 One of the tunnels under Crenshaw Boulevard taking shape. 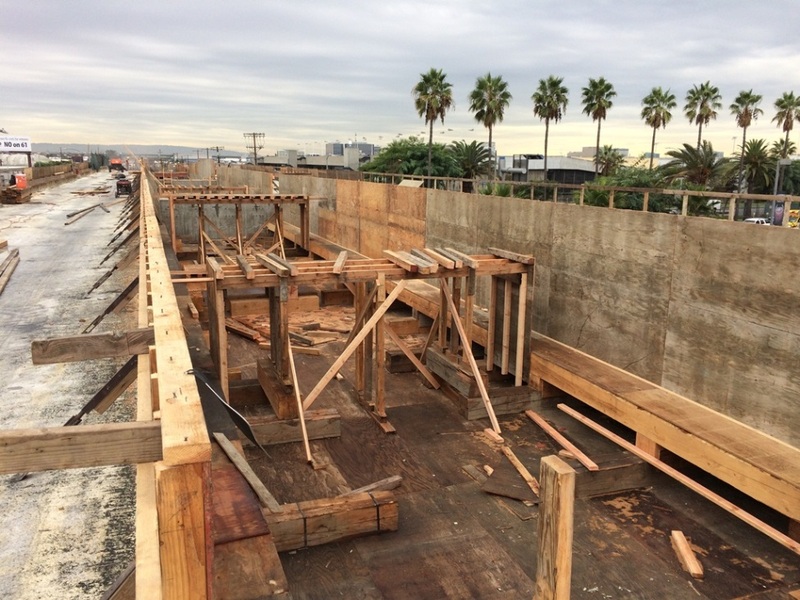 Removing the formwork at the Crenshaw/Expo Station. 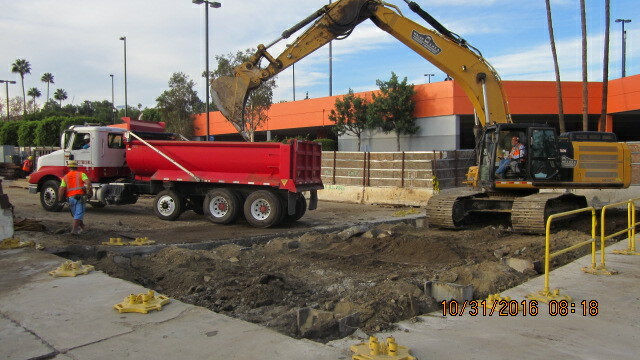 Beginning excavation for a side structure at the Martin Luther King, Jr. Station, which will be underground. 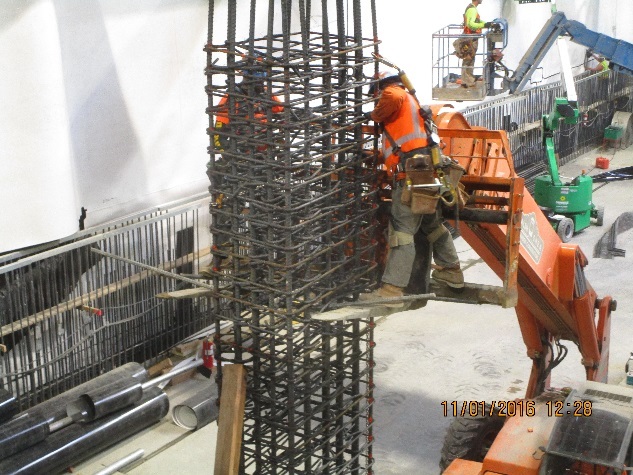 Work on a column at the Leimert Park underground station. 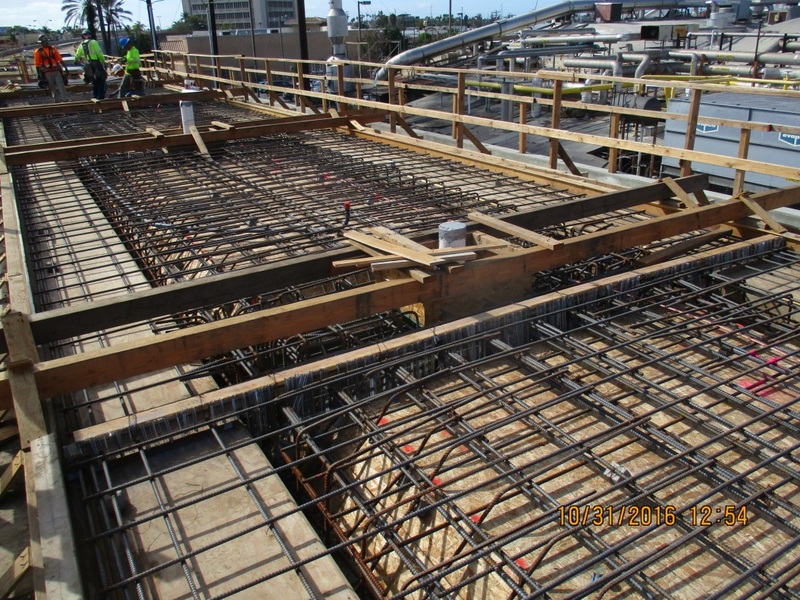 Installing rebar for a column at Leimert Park Station. 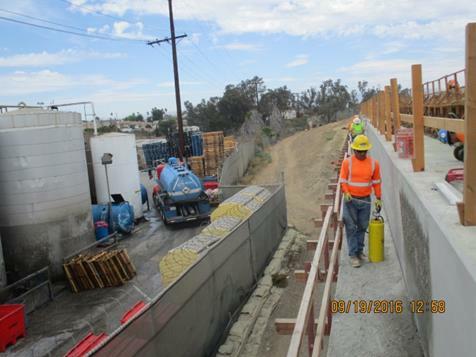 Work on the walls of the segment between Leimert Park Station and the portal to the tunnel. 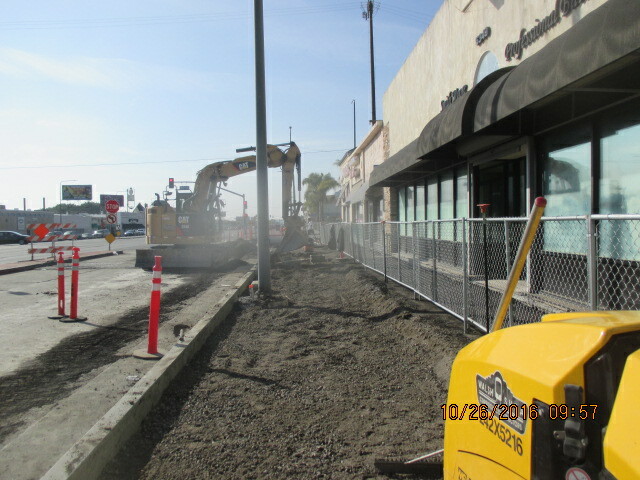 Work on Crenshaw Boulevard north of 54th Street in Park Mesa Heights. 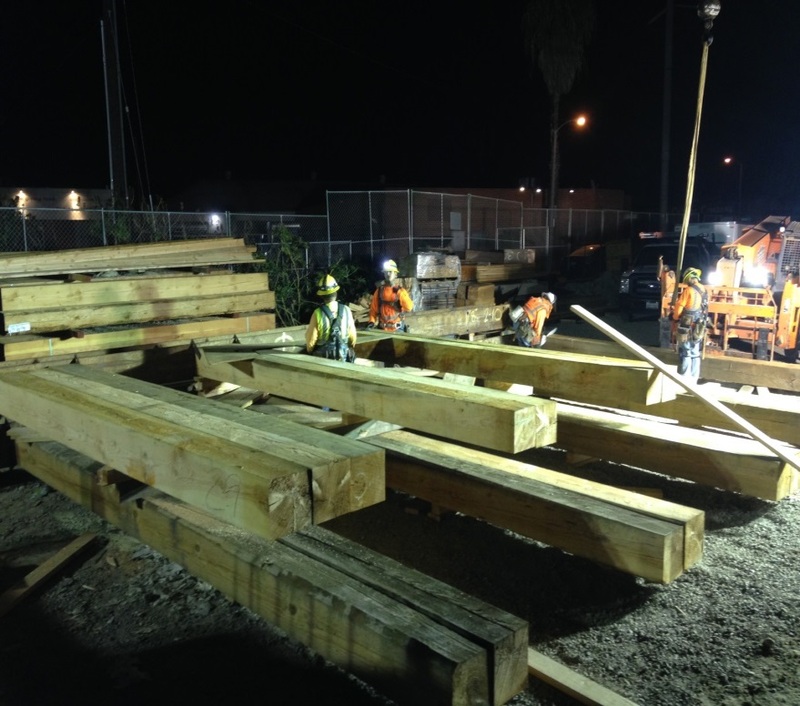 The placement of deck beams and deck panels south of 63rd Street for a section of the line that will be below street level. 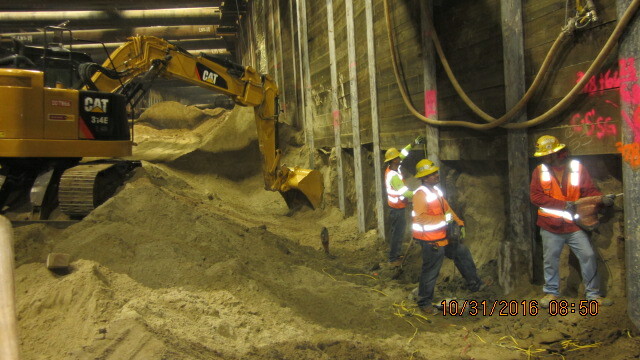 Excavation and lagging work between 60th and 63rd on the cut-and-cover section. 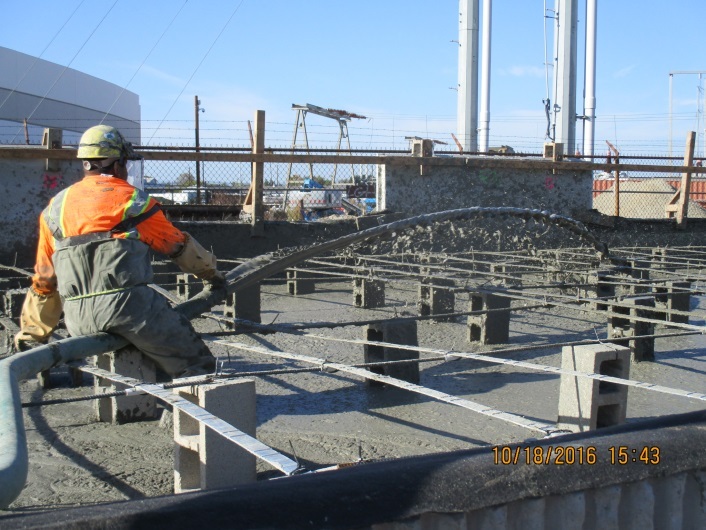 Work on the station platform for the Fairview Heights Station. 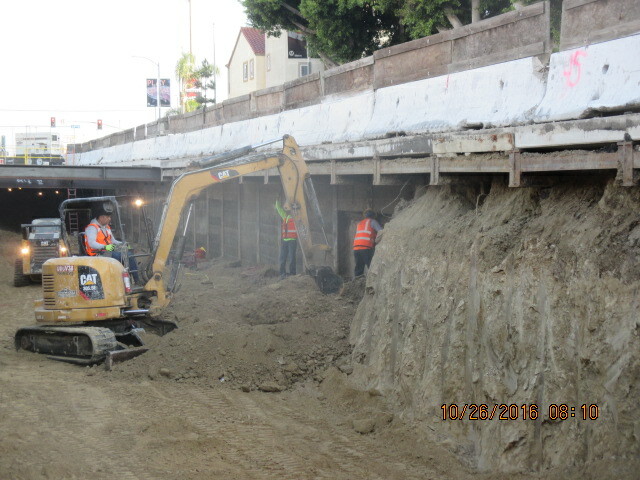 Work on one of the earthen walls leading to the bridge over La Brea Avenue. 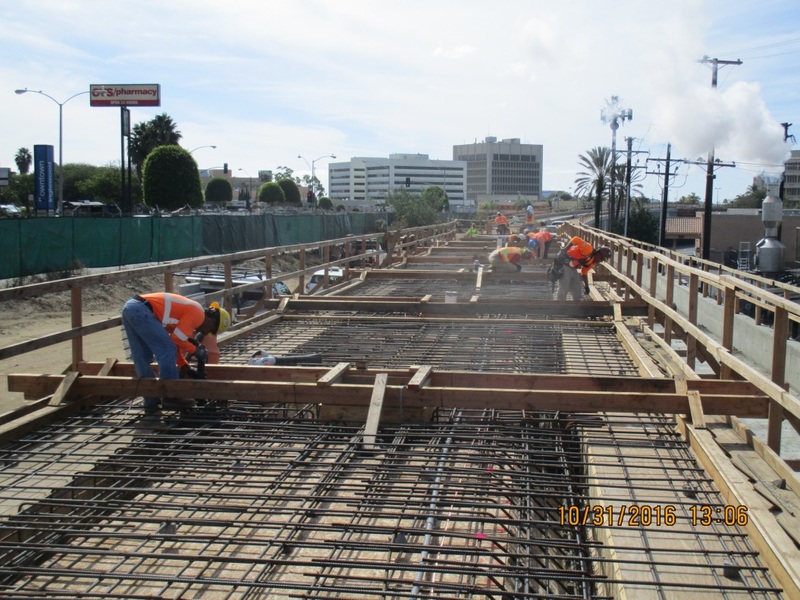 Work on the La Brea Bridge. 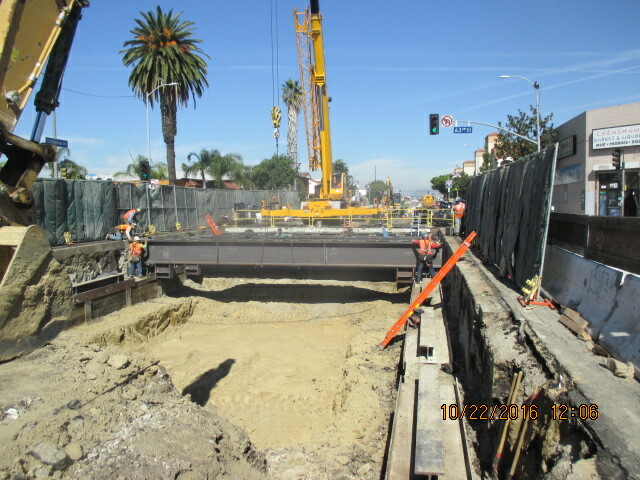 Another view of the La Brea Bridge. 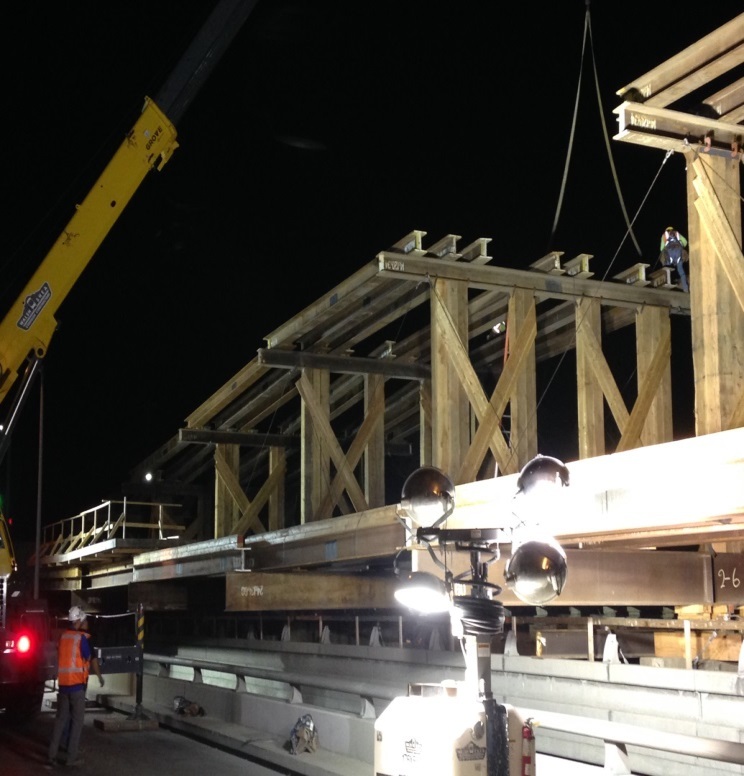 Falsework for the rail bridge that will span the 405. 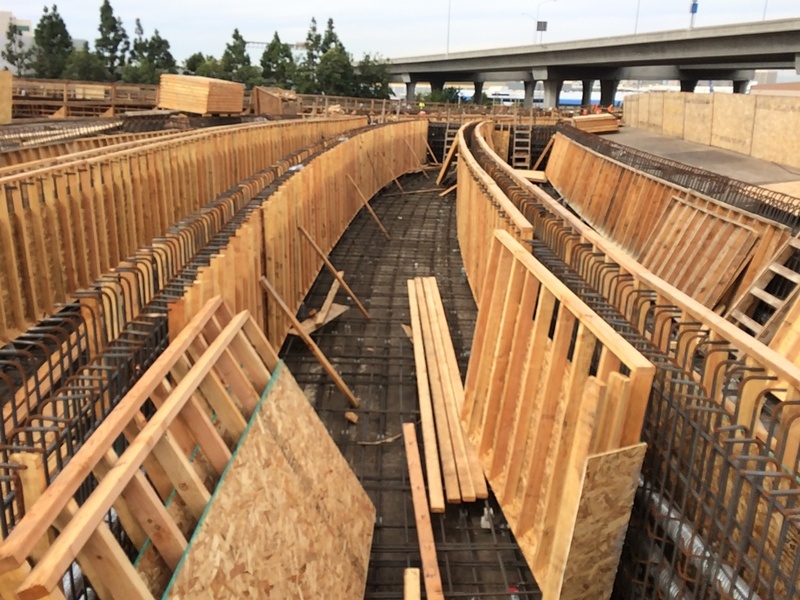 More work on the 405 bridge superstructure. A look at the alignment north of Manchester Boulevard. 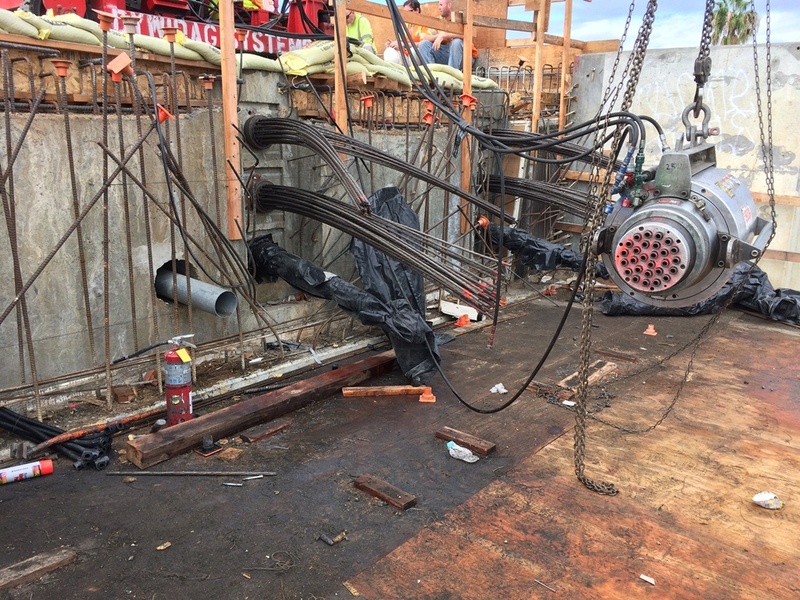 Work on anchoring the galvanized reinforcement straps for a section of the alignment north of Manchester. 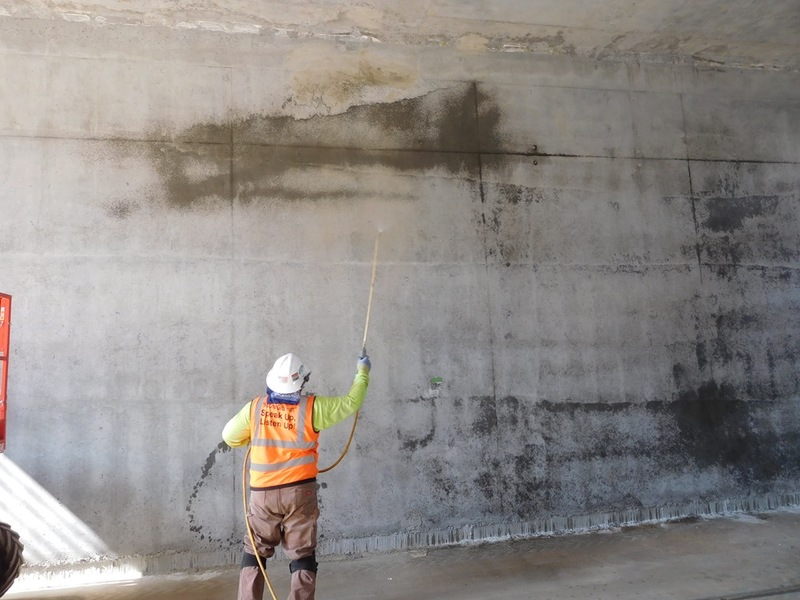 Some preliminary work on the 96th Street Station, which will be built as a separate project. 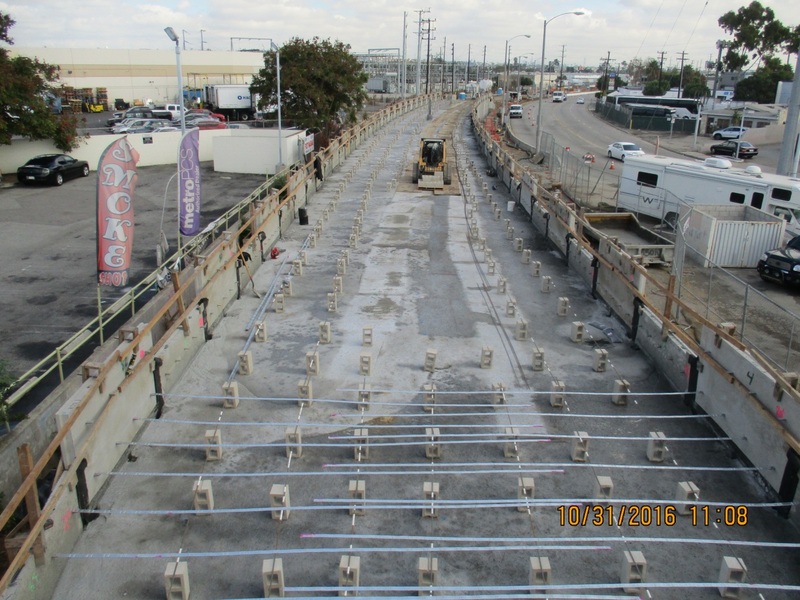 The station will serve as the transfer point to the future LAX people mover serving the passenger terminals. 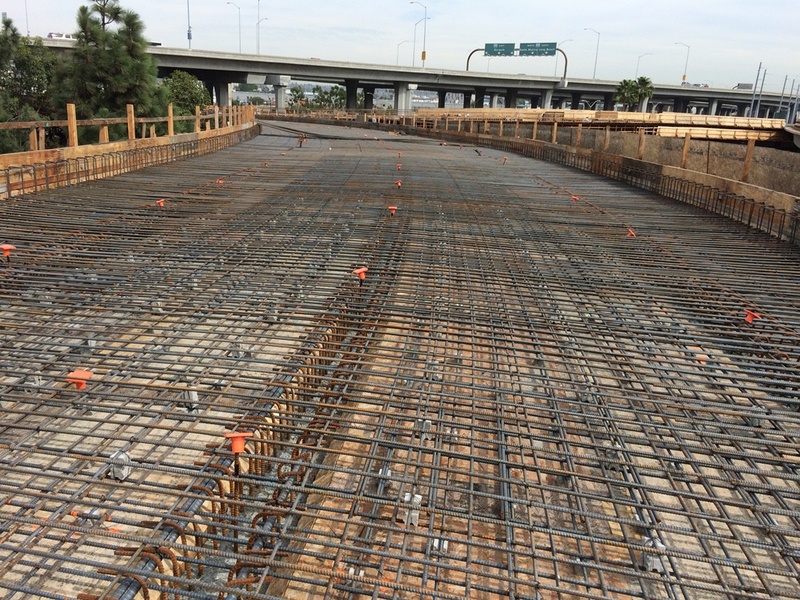 Work on the bridge that will span Century Boulevard adjacent to Aviation Boulevard. Another view of the Aviation/Century Bridge. The cut-and-cover segment east of the south runway at LAX. 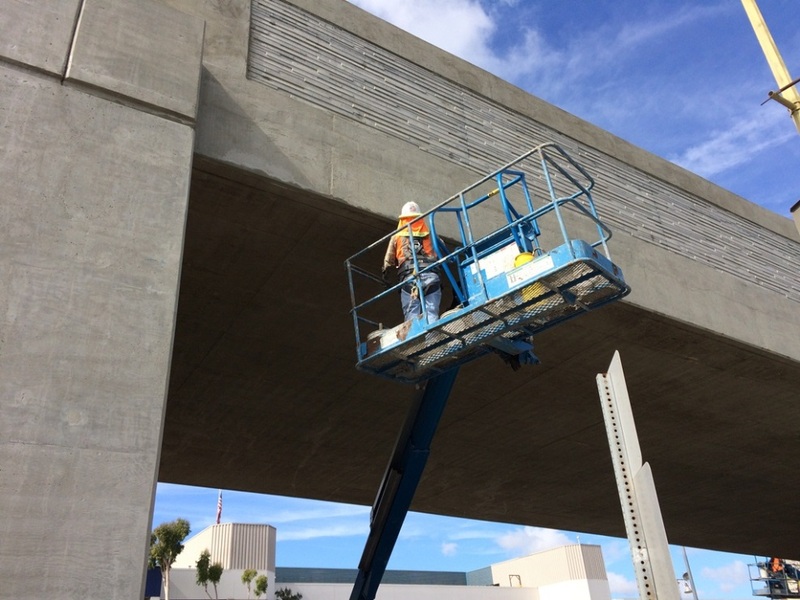 Concrete cure for the cut-cover segment next to LAX. 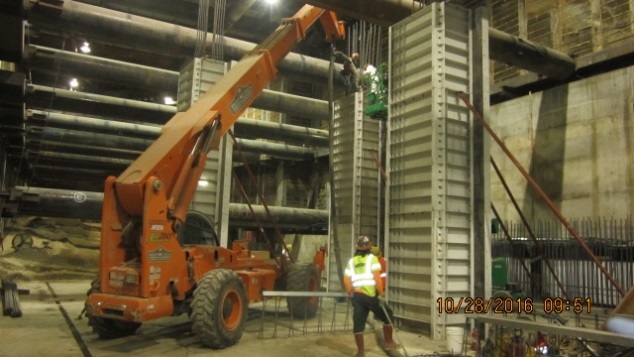 Working on the exterior of the bridge structure at 111th Street. 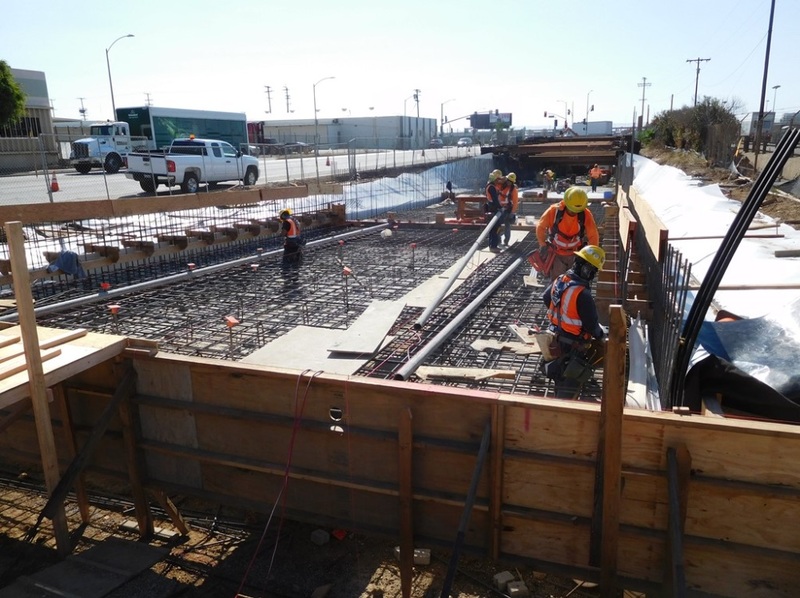 Work on the structure that will carry the tracks toward the Green Line. 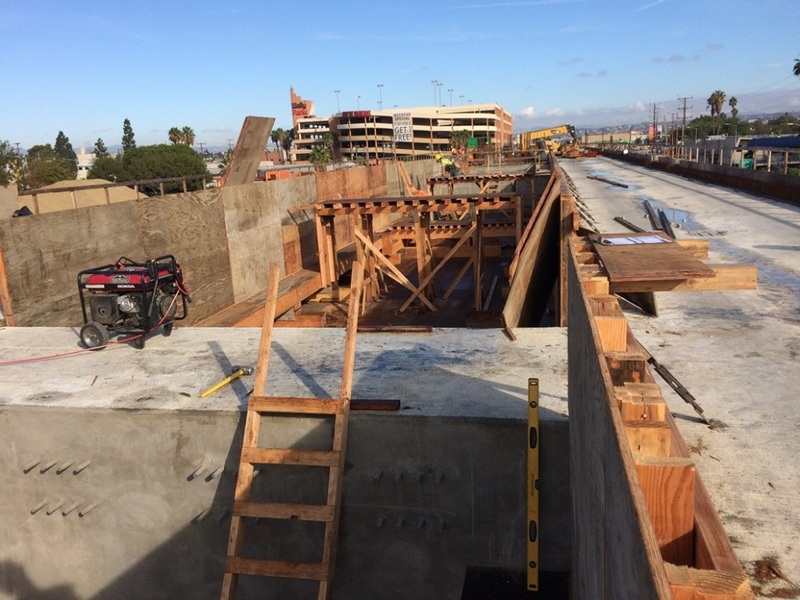 The ramp that will carry the new tracks toward a junction with the Green Line tracks. 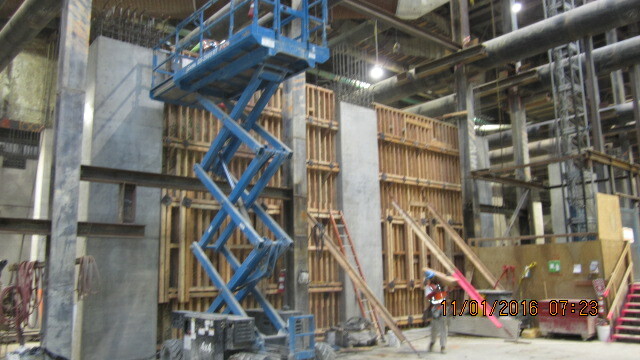 This set of photos really gives a sense of what a massive undertaking a project like this is, more so than others that have been posted here. It seems to be missing a link to the Flickr album, though. Who gets credit for taking the pictures? I have not been able to get you photos on your email post. I am running iMac 10.12.1. I get the letter and no photos. It is going to be real nice,when it is finished, can not wait,I am a retired RTDMTA. Beautiful pictures on the massive undertaking that is this line. Appreciate you sharing it with us! I believe this disproves some people’s assumption that the crews are working from one end to the other. Work is proceeding all over the place at the same time! 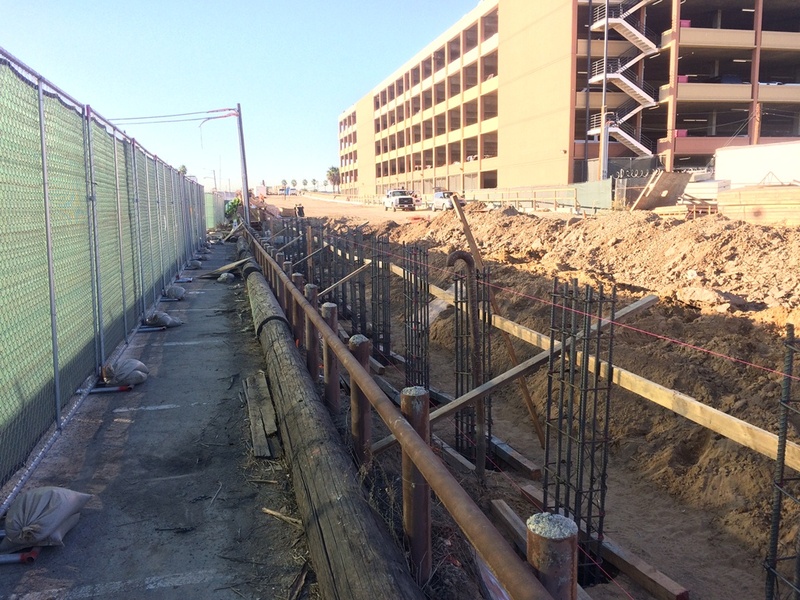 I have been watching some of the progress from the freeways near the airport. The absolute best way to see the progress: get a window seat on the right side of a plane landing on LAX’s south runway. Great views right up Aviation, not to mention some views of other work.